Yay! We've just made our app a little bit better again. If you have important feedback, a question, or you just want to tell us a fun story, please don't hesitate to contact us at iosapp@takeaway.com. 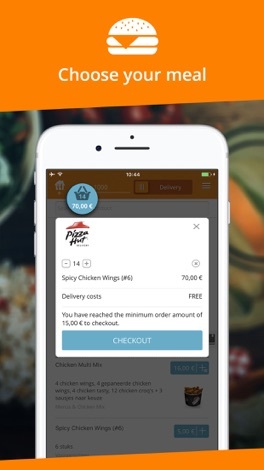 Order food online with your iPhone or iPad using the Takeaway.com app. Super easy! Are you feeling like a delicious pizza, salad, burger or kebab? 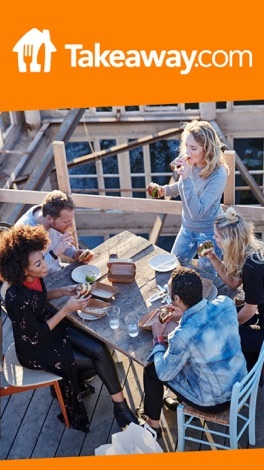 You can easily order the most delicious meals from thousands of restaurants. Order pizza, schnitzel, lunch, pasta, Chinese or Indian takeaway online: you'll be spoilt for choice! You'll have your meal within 30-45 minutes (depending on the restaurant's availability). 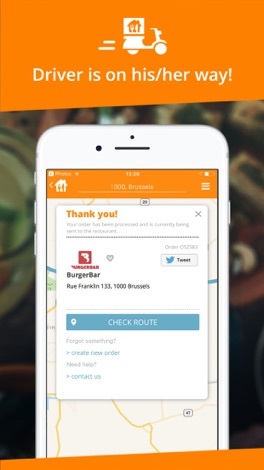 • Ordering food online is just a few steps away. • Map view available for all restaurants. • Pay safely with a credit card or PayPal. • Log in with your account and (re)order easily. Ordering is very simple. Fill in your postcode/street name or simply let the app find your location automatically. You can easily pay with credit card or PayPal. Naturally, you can also pay with cash on delivery. • The design is clearer, cleaner and cooler than ever! --- Better overview of opening times. --- Delivery costs are clearly displayed. --- Minimum order amounts are easy to find. • New! Choose whether you want to pick up your food or have it delivered. • More filters! Filter on reviews, distance, popularity, newest restaurant, price, product, delivery costs, alphabetical order and relevance. • Map view: see the exact location of every restaurant on a map. • Popular dishes: overview of the restaurant's most popular dishes. • Wide selection of cuisines: Italian, Chinese, Thai, vegetarian and much more! • Landscape or portrait mode: the app will easily adapt. • The app is available in 4 languages. Switch to Dutch, English, French or German anytime. • Log in with an existing account or create a new one. • Addresses: all your saved addresses will be available in the app for your next order. 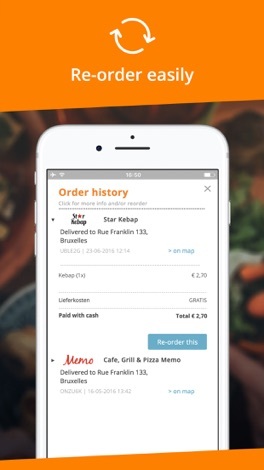 • Reorder: choose an order from your order history and reorder in no time. Guide the ribbon through the cave. SFCave is a simple action game where you need to guide a ribbon through a cave and prevent it from touching the walls. The controls are quite challenging: touch the screen to make it move up and release your finger to make it go down. This control can be pretty hard to get used to, as it's not your typical one. Un….